An award winning City Centre Sheffield events venue with affordable private meeting rooms and private dining rooms. A popular film and photography location in Sheffield. 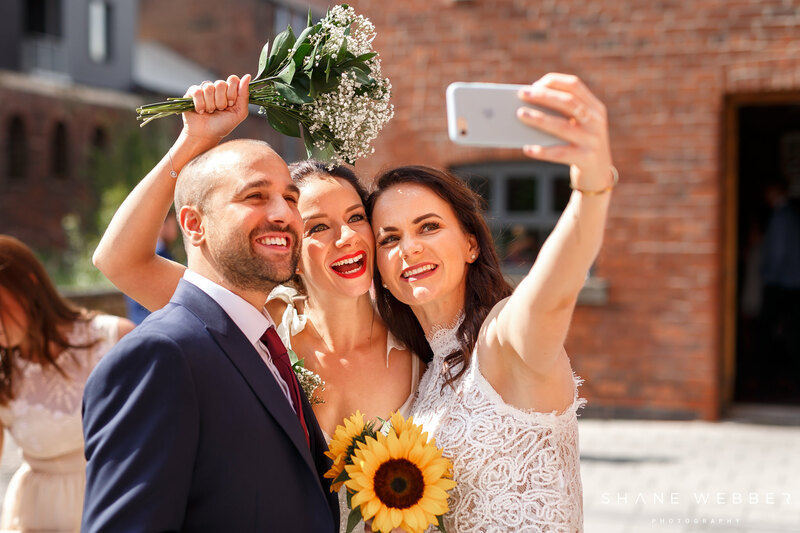 Sheffield sweethearts, Clare and Stephen chose an absolute beaut of a day to tie the knot at The Chimney House last summer. Clare shared a lovely account of their day with us, complete with beautiful photography by Shane Webber. "We're both from Sheffield and absolutely love Kelham Island. 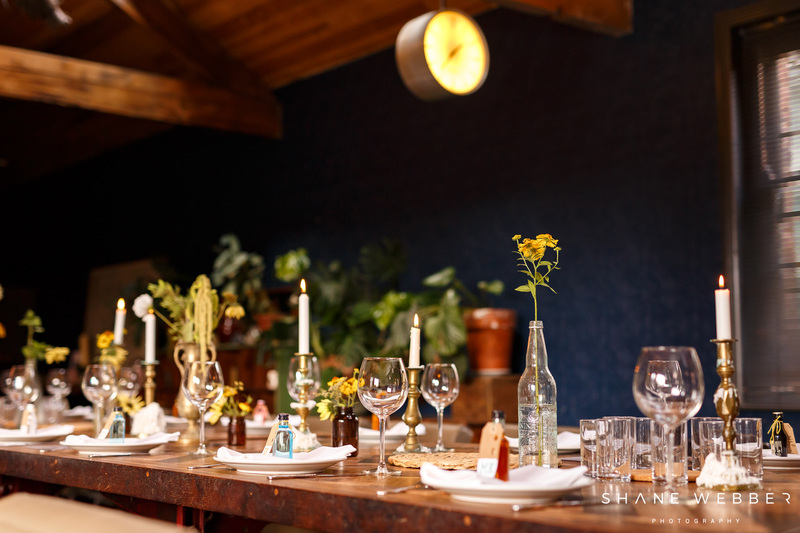 It's somewhere that means a lot to us, and we have loads of happy memories from spending cosy nights and lazy summer evenings in the area with friends and family. When we were planning our wedding, we looked at other wedding venues that just didn't cut the mustard. There's no other way to describe it than they just didn't feel like 'us'. We decided to visit The Chimney House as we'd heard nothing but wonderful reviews from other people. 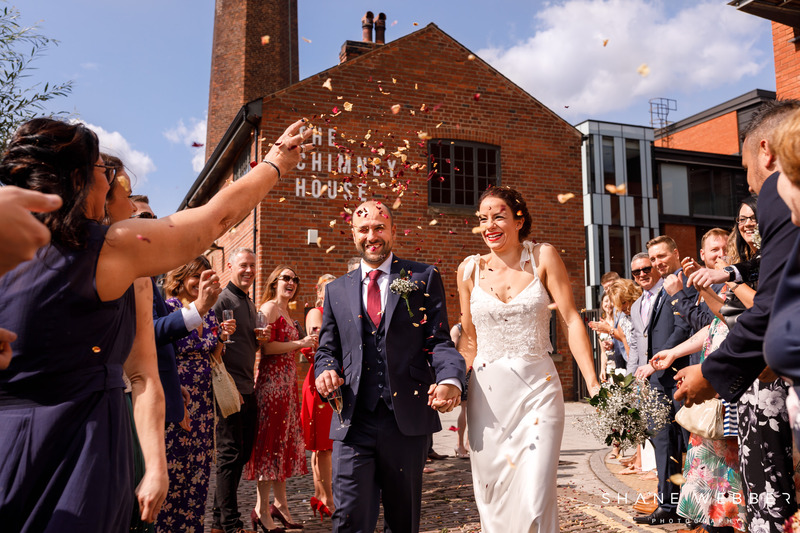 As we'd booked Kelham Island Museum for our ceremony, it couldn't have been more perfect than to have our wedding feast with 32 guests at The Chimney House, and from our first tentative visit, we felt right at home. 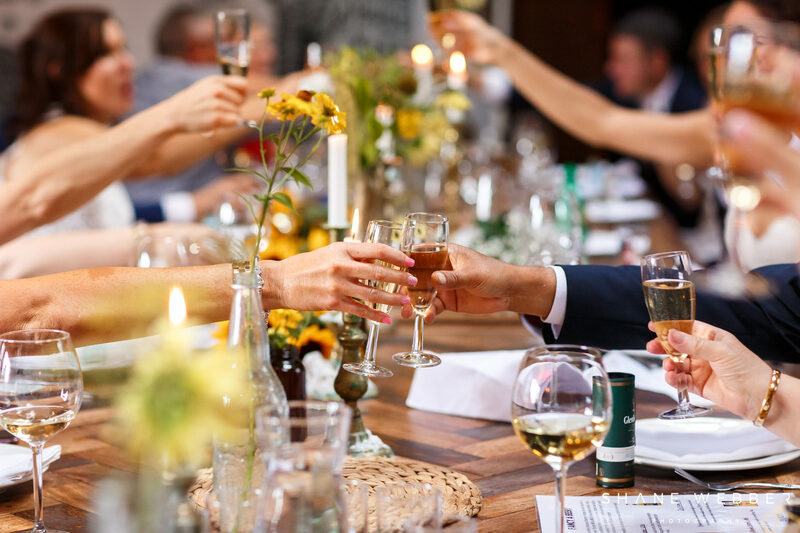 Our vision for our wedding day was a perfectly relaxed summer's day filled with love and laughter, a small group of our closest friends and family, and good food and wine. 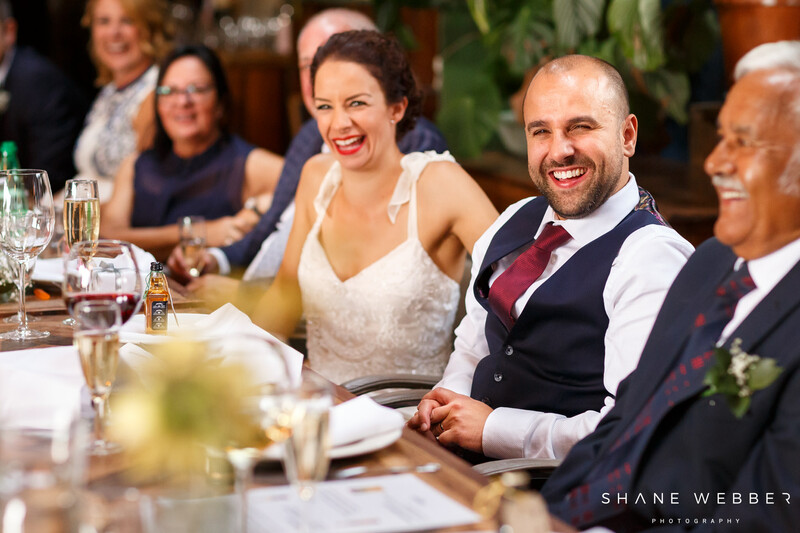 A wedding day is the most personal day you can plan, and we really wanted something that reflected our relaxed approach and the fun we love to have as a couple. In the run up to the wedding, Lucy was fantastic in answering our questions and had lots of patience sitting with us in numerous appointments to finalise the details. The feeling we both had on the day having achieved exactly what we wanted was incredible. From the drinks in the sun before our feast, to our confetti walk, speeches, and dining. The food we chose for our feast was outstanding, and something our guests still talk about! And with the service, nothing was too much trouble. 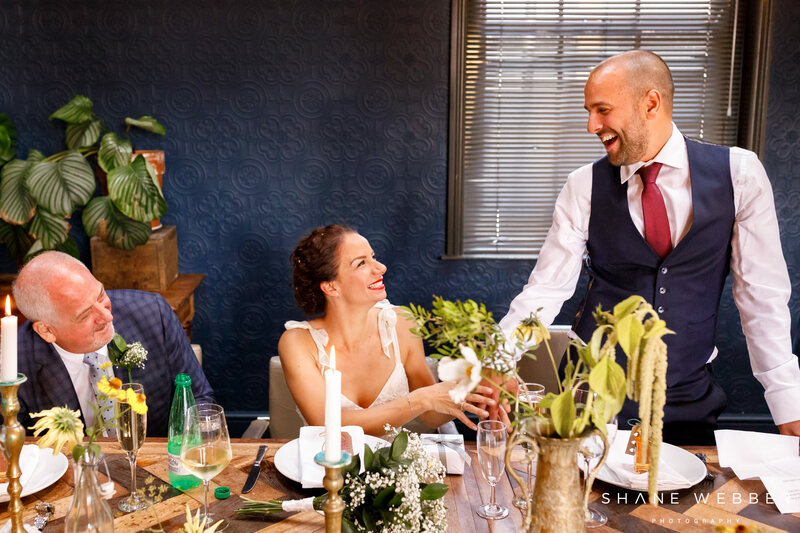 All in all, it's difficult to pick our favourite moment from our wedding at The Chimney House. However, there's one particular moment that stands out for us. Our guests had just been seated and the staff were taking great care to look after everyone. Our favourite music was playing in the background and pictures of us with our closest friends and family were projected at the front of the room. Everyone was laughing, joking and so happy. We both stood against the wall and took everything in for a minute; we'd done it, and it felt truly amazing!"